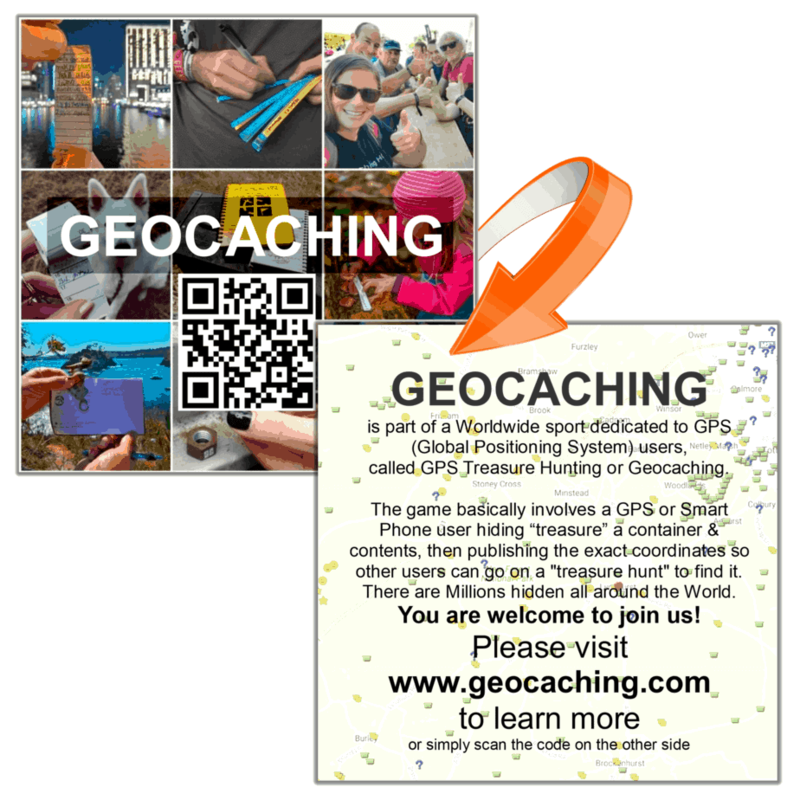 Please see checkout page after purchase for a free sample pack of our Geocaching Information Hand Out Cards. By requesting these FREE items we request that you review and promote them to other Cachers who may also find them of use. This is a LIMITED time offer and you will not be charged anything for a FREE sample pack. FREE pack applies to any £’s value order.